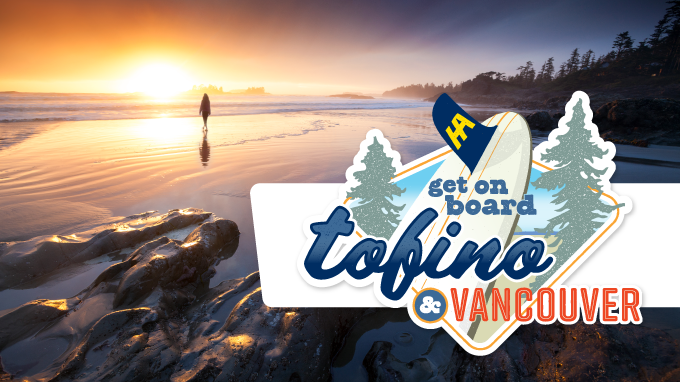 Get On Board – New Tofino Seaplane Service Launches May 10th! Harbour Air is excited to announce a new scheduled service to beautiful Tofino, B.C., launching Thursday, May 10! The new one-hour route will quickly and conveniently connect passengers between our Coal Harbour terminal in downtown Vancouver and the remote west coast of Vancouver Island. With spectacular aerial views across the Straight of Georgia, over Port Alberni Inlet and Pacific Rim National Park and along the coast into Tofino Harbour, this route will be one of Harbour Air’s most scenic coastal flights. Primarily using their brand new 9 passenger, executive seating, Caravan EX aircraft and landing adjacent to the picturesque Tofino Resort & Marina, the new service will connect passengers into the heart of the village, saving passengers hours in ferry and driving time. “We’re thrilled to be bringing scheduled seaplane service to Tofino,” says Randy Wright, President, Harbour Air. “We’ve been connecting B.C.’s coast for more than 35 years. As one of B.C.’s coastal, and remote, jewels, Tofino is the ideal destination to enhance our service and we’ve received nothing but positive support from the Tofino and Ucluelet community”. Flights will begin operating from Harbour Air’s location in Coal Harbour, Vancouver on May 10th, running once per day Thursday to Monday.